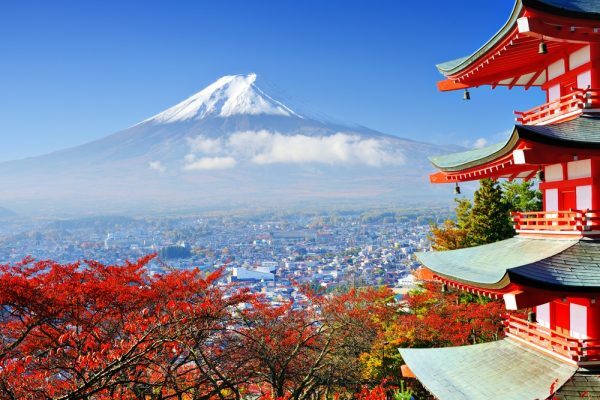 Japan is a destination that is on the bucket list of many. Whether it is to see the majestic Mt Fuji or ski the legendary slopes of Niseko, Japan has something for all types of travellers. But no matter what kind of traveller you are, it’s always a good feeling to snag a good deal for your travels. So, here’s something we found with the UOB JCB Card that gives travellers some of the best travel perks when travelling to Japan. These are 7 money-saving hacks you can enjoy when you travel to Japan with a UOB JCB Card. 1. Save up to 10% on your accommodation! Staying in a Japanese Ryokan is a unique experience and one that cannot be missed when visiting Japan. It is one of the few ways to immerse yourself in traditional Japanese travel culture. The UOB JCB Card offers cardmembers special privileges on JAPANiCAN.com, which offers the most competitive accommodation rates in Japan. So, book your Ryokan – or indeed, all of your accommodation – through JAPANiCAN.com with your UOB JCB Card to enjoy special privileges. UOB JCB Cardmembers will receive a JCB Gift Card valued at JPY 3,000 with a minimum spend of JPY 30,000, valid till 31 Dec 2017. And you will also be in the running to win a 3-night stay for two at a hotel or Ryokan worth JPY 50,000! 2. Stay connected with Travel Japan Wifi… for free. Mobile data is now an essential tool for travellers in this day and age. Buying a SIM card or renting a wifi router upon landing in a new country is almost a default activity for travellers who wish to upload their photos and share about their trip on social media in real time. Having mobile data on hand also allows travellers to check out online maps to get around, and locate recommended restaurants and tourist spots while on the go. More pertinently, online translation tools enable travellers to buy tickets, and food easily without actually having to learn another language. Step 3: Look out for the Wi-Fi Hotspot logos when you travel and start using the service. Many travellers nowadays want the privacy while they travel but yet find it quite troublesome to have to plan out every last detail of the trip. So if you’re unsure about what is the best way to fully utilise your time in Japan, then get help with JCB’s concierge services as a UOB JCB Cardmember. JCB Platinum Concierge Desk operators speak multiple languages and are available 24/7 to help you make reservations at exclusive restaurants under the Platinum Card benefits, or book your tee time at golf courses, or suggest the best routes for sightseeing and entertainment. If you happen to need support for credit card-related emergencies, the JCB Platinum Concierge Desk is at your disposal for that too. Enjoy free admission to Japan Towers at nine locations with your UOB JCB Card. And if you buy an admission ticket to Tokyo Skytree using your UOB JCB Card at the Fast Skytree Ticket Counter, you will receive a complimentary novelty gift. If you’re visiting Mount Fuji, use your UOB JCB Card to enjoy discounts on admission to the Fuji-Q Highland amusement park. Most travellers like to get to the airport early so there will plenty of time to walk around and enjoy the airport facilities. It is also good not to have to rush for a flight so you can start your holiday off on the right note. With a UOB JCB Card, you will also be able to enjoy your time before the flight in a cushy airport lounge. Cardmembers will have access to airport lounges in Japan, China, South Korea, Hong Kong, Thailand and Hawaii. Upon arriving in Japan, the last thing you want to worry about is finding transportation into the city. Thankfully, the public transport system in Japan is world class and there are plenty of options for you to head into the city centres. But if you have your heavy luggage with you, you probably will not want to fight the crowds. So your next best option is to take the airport limousine bus. Airport limousine buses may be a more expensive travel option, but it offers door-to-door transport to major hotels in Tokyo and major train stations in Osaka. That means, maximum peace of mind, since you would not need to commute with your heavy luggage while navigating the complex train stations. UOB JCB Cardmembers can enjoy 20% off limousine bus tickets. For example, a ticket to Shinjuku Station West Exit will set you back about JPY 3,100 (S$39+) before discount but if you buy the ticket with your UOB JCB Card, you could save JPY 620 (S$8+). The bus route includes stops at major hotels in the greater Tokyo area and stations in Osaka. 7. Save even more on shopping! Planning to restock your supply of cosmetics, skincare, toiletries, vitamins, medication and personal care products while in Japan? You are probably already aware of the huge savings you will get buying these items from major drugstores in Japan. But here’s what you may not know. You can get an additional 5% discount when you charge it to your UOB JCB Card. That’s your excuse to buy just one more item when you shop at Matsumoto Kiyoshi, Kirindo, Satudora, SUNDRUG, TSURUHA DRUG and BIC DRUG. If there’s one thing tourists go extra crazy over, it’s duty free shopping, especially when it comes to designer brands. Takeya is a general duty free store and the oldest discount store in Japan with 42 floors, spanning across 8 buildings. It’s a one-stop shopping mall where you can get food, medicine, cosmetics, health food, household items, electronics and home appliances, watches, accessories, designer fashion, clothing and furniture. You can also shop for Japanese souvenirs here. Spend with your UOB JCB Card and enjoy up to 10% off the total bill from now till 30 April 2017 and 5% off the total bill from 1 May 2017 all the way up to 31 January 2018 when you make a minimum spend of JPY 5,000. For those of you who still have not had enough of shopping, you can head down to Marui Department Store with your UOB JCB Card to enjoy 5% off your total bill from now till 30 June 2017. With all of these amazing discounts and privileges at your fingertips, the UOB JCB Card is clearly the only card you will need for your next Japan holiday.